Obituary for James R. Groff | Devlin-Rosmos-Kepp F.H. 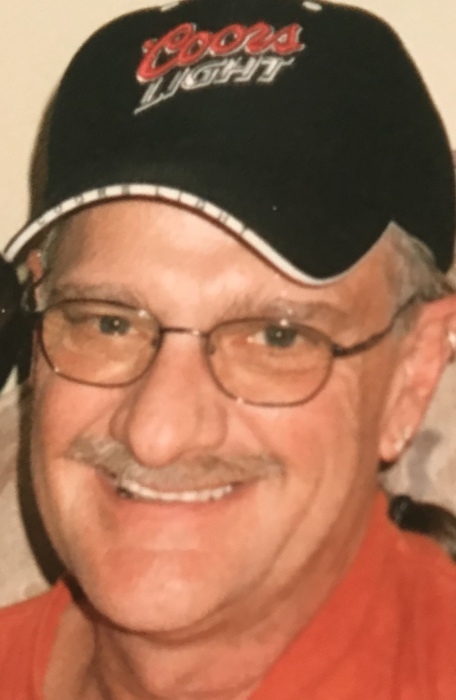 & C. S.
James R., 66, of Phoenixville passed away on August 24, 2018 at home surrounded by the ones he loved. Born in Phoenixville, he was the son of the late Betty D. (Lauer) and Everett N. Groff, Sr.
Jim was a graduate of Northern Chester County Technical School. He was a 3rd generation PECO employee for over 40 years. He was a member of the Reading Motorcycle Club, Friendship Fire Company Diving-Rescue Unit, NRA and American Rottweiler Verein. Jim was a genuine, hardworking, gentle and loving man with a devilish personality. He had multiple interests throughout his life, including cars, motorcycles, guns, dogs and tattoos. Jim loved to work on his cars, street and race. A true Chevy man, he loved his Corvettes. In 1974 he was in the Winner's Circle of the National NHRA race in Indianapolis with Terry's Performance Team. Jim loved to put miles on his Harley Davidson, he was a true biker at heart, rarely seen without his HD apparel displaying his eclectic collection of ink. He had an extreme love of dogs. Life without a dog was like a refrigerator without Coors Light. Jim taught dog obedience classes. His heart was stolen by his Rotties, which he showed with great pride. His beloved Magnum was crowned Prince of Phoenixville's Dogwood Parade. And his beloved Baxter was a National Champion in the American Rottweiler Verein. Jim was very fortunate to have many adventure in life, but his greatest adventure was becoming a father. Family was very important to Jim, and he considered his son his greatest gift. He loved to vacation in North Wildwood. As a child, his fondest memories was vacationing with his parents, and his trips to the movies with his father. Jim always referred to his father as his best friend. Then after becoming a father himself, he enjoyed introducing his son to the Wildwood Boardwalk while at his Mother in law's home. Jim also loved to attend the infamous Taylor Parties with his beloved inherited family. In recent years, Jim struggled with a life altering disability which greatly affected his mobility. He thrived on family time at home with his son, teaching him all about NASCAR. Mother in Law, Joan Cianci; Father in Law, Jack Shaw; Sister in Law, Kimberly Cianci, all of North Wildwood. 4 Beautiful nieces: Lexi, Lauren, Leah and his "buddy" Megan. And his "Baby Girl" King Charles Cavalier, Gracie. Jim is also survived by an estranged brother and nephew, who sadly missed some of the happiest years of his life. Family and friends are invited to attend a Memorial Service at the Devlin Rosmos Kepp & Gatcha Funeral Home, 517 S. Main Street at Fourth Avenue, Phoenixville, PA on Wednesday, August 29, 2018 at 11:00 am. Friends may call at funeral home on Wednesday from 9:00 am to 11:00 am.